If you're even a little obsessed with eye brushes for detail work, Chantecaille Eye Perfector Brush might be one you'd want to check out. This kind of brush, with its small head, classic C-shaped edge and no visible frills aren't the sexiest makeup brushes around, yet they're an essential when you're doing more than a quick wash of color. 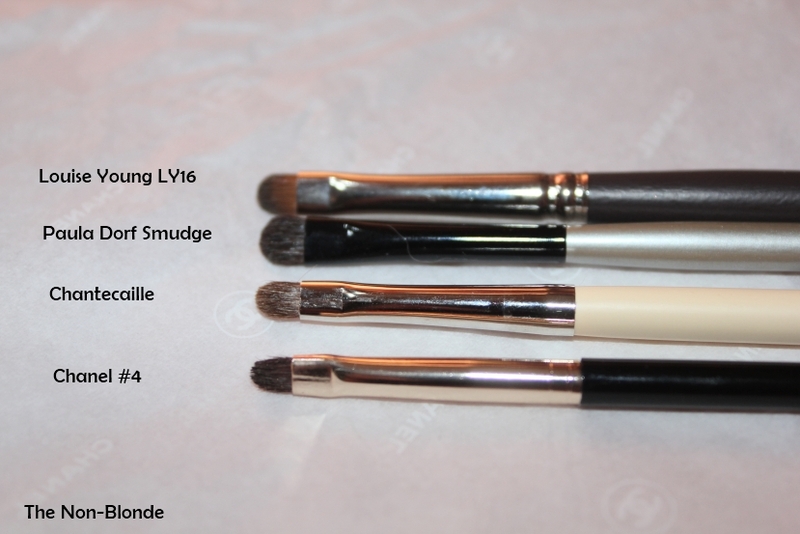 Hence the passion for the perfect little brushes among some of us. 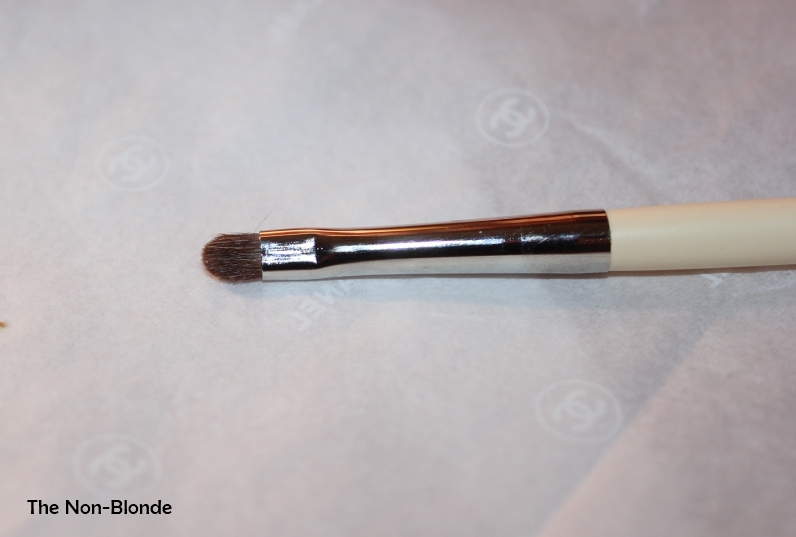 Chantecaille Eye Perfector Brush is closest in size and shape to Chanel #4. The hair is slightly longer than in Louise Young LY16 and Hakuhodo K005; it's definitely longer and narrower than Paula Dorf's Smudge Brush. So Chanel is the most similar, but Chantecaille's little brush is far superior in my opinion, because the hair is packed tighter, collects more product and has more bounce. 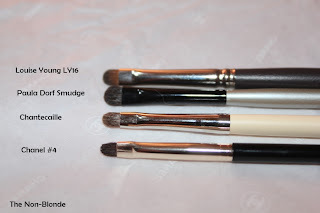 I also think the Chantecaille brush is generally better made and certainly retains its shape and performance better despite frequent use and washing. 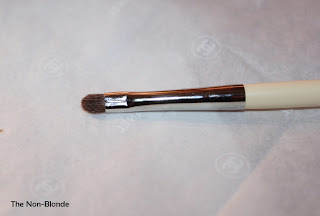 I use my Chantecaille Eye Perfector for various tasks: highlighting the inner corner, drawing a thick line of non-black color, smudging, applying powder shadow over a liquid line... it can do many things. I've also reached for it as a lip brush on occasion and for concealer. 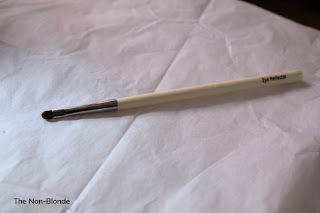 Chantecaille Eye Perfector Brush ($25) is available from top department stores, Space NK and online.